After the three-year investigation into him drew to a close on Thursday, ex-Rabobank and Sky doctor has been banned from the sport for life by USADA as well as the Danish and Dutch anti-doping authorities. USADA were obligated to investigate the Belgian after he was named by Levi Leipheimer during testimony for the US Postal investigation back in 2012. Michael Rasmussen was the other big name involved with the investigation. His testimony (you can view the full USADA report here) implicated teammate Michael Boogerd, now a manager at the new Roompot team, as well as bringing back memories of Stefan Matschiner and the Human Plasma Clinic in Freiburg. 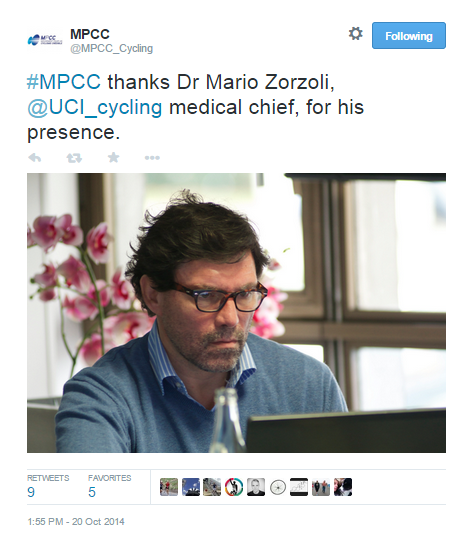 However, the most interesting name to crop up was that of Dr Mario Zorzoli, the UCI’s Chief Medical Officer for well over a decade. He has been suspended by cycling’s governing body after being mentioned twice by Rasmussen in testimony, as well as that of Steven Teitler, head of legal affairs at the Dutch anti-doping authority. USADA have passed information from this case to the UCI and CIRC (Cycling Independent Reform Commission), with the UCI due to investigate the doctor. The UCI hasn’t been immune to this sort of thing in the past, with former Presidents Hein Verbruggen and Pat McQuaid accused of at best ‘warning’ riders about doping tests and results, and at worst protecting them. However, this is the first time that a senior UCI member is under investigation for such an impropriety. But wait, there’s more. Zorzoli has been in the headlines before, on quite a few occasions actually. Here’s a look back at the storied career of the UCI’s (possibly soon to be ex) Chief Medical Officer. The UCI has been known in the past to send letters of warning to teams and riders should their test results return suspicious values. Rasmussen and Teitler have said as much with regards to Zorzoli, and we all know about incidents such as the 2001 Tour de Suisse. In 2004, Tyler Hamilton received a letter informing him that during the Tour de Romandie he returned abnormal blood values and that the UCI would be monitoring him more closely in future. Zorzoli was suspended pending an investigation before being reinstated less than a month later without comment. 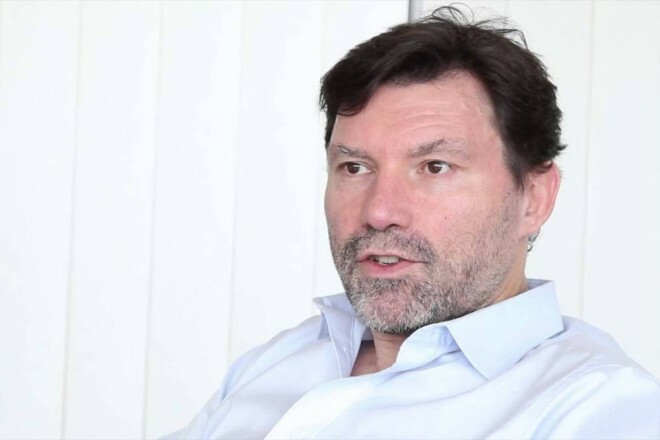 Looking back, the leaking had inadvertently turned out to be a positive move, though the ‘independent’ report by Emile Vrijman was a weak attempt to undo that. A 2007 article in Spanish newspaper ABC detailed what infamous doctor Eufemiano Fuentes had in his possession at the time of his arrest. Along with a hotel card with rider nicknames, multiple phones and credit cards and some swiss francs (the UCI is based there) was Mario Zorzoli’s business card. Quite why one of the most notorious doping doctors in the sport would have the phone number of the UCI’s Chief Medical Officer is anybody’s guess, and seems to have been largely forgotten. Another questionable relationship was brought up in David Millar’s book Racing Through The Dark. In 2007 Millar returned from his doping ban with the Spanish Saunier Duval squad, managed by ex-rider Mauro Gianetti, he of perfluorocarbon fame. Shortly after leaving Saunier Duval as PR manager, Stéphane Heulot said this ”Doping is so ingrained in certain managers, like Gianetti, that they can’t conceive of cycling any other way” but here’s what Millar had to say about him. Further allegations of cosiness with team staff came from Michele Ferrari in 2012. He writes about an incident in 2010 at a Tenerife training camp in which a team doctor was able to phone Zorzoli to arrange the wiping of test results. The effects of altitude distorting blood values was thought to be too much of an inconvenience to the team, and so it was done. Finally, we come to 2014 and the previous controversy to befall Dr Mario, in which a TUE for Chris Froome was ‘fast-tracked’ and granted by Zorzoli alone, rather than a three-person TUE committee as demanded by the WADA Code. The UCI refused to confirm whether such a setup was in place, but according to its updated TUE regulations, a committee is now in place. So, not great then. With the good doctor suspended once again, we should all be hoping that this time it will be made permanent. If the UCI’s plans to centralise anti-doping judgements in 2015, doing away with the inconsistent rulings and favouritism we see from national federations, Zorzoli cannot be there. A relic from the McQuaid era, with a record of favourable treatment and dodgy connections, is not someone we need at the UCI in 2015.